Home/Dive into the Impetus of Vidigo News: A Q&A with CPO, Boromy Ung. ChyronHego recently announced Vidigo News, a new solution that automates the production process and creates high-quality broadcast content for your live OTT streams. By stripping away the complexity of layers of technology to produce OTT content – it integrates an entire live, OTT streaming production into a single solution. I sat down with ChyronHego’s Chief Product Officer, Boromy Ung and discussed the current disruption in consumption habits, live OTT production, and how Vidigo News gives broadcasters better control of live OTT content creation. With news consumption habits moving toward OTT, how would you advise broadcasters today? BU: Broadcasters should not shy away from OTT, but rather embrace it. Embrace it and use this as an opportunity to generate more revenue or make your workflows more efficient. The presumption is that OTT requires an investment or that the bigger players (like the behemoth monthly entertainment providers) will take over that space. The reality is that people continue to watch television content – especially live content like sports or news. Moreover, people are always on the move, so allowing them to watch live content anywhere and anytime is an opportunity to reach more viewers at any given time, so why fight it? We have seen a shift from traditional broadcast to live streaming for years; what are some production considerations when producing live OTT content? BU: People’s expectations have changed over the years. Look at what OTT looked like 10 years ago – or even 3 year ago – there was a lot of amateurish and poor-looking content. So the quality today is important. More importantly for broadcasters, a lot of content used to go to OTT without any branding or with very poor branding. If you think about it, one would never broadcast content over the air today without at least a logo, so why would you treat your OTT content differently? Branding is a huge key to successful OTT streaming. And you need to be able to produce live OTT at a lower cost because even though OTT generates a revenue stream, it is a much smaller revenue stream than that of traditional broadcast. Revenue via OTT is growing, but not to a point where one could justify spending as much money on OTT as on traditional broadcast. Cost and efficiencies are super important when it comes to deploying an OTT production infrastructure. ChyronHego recently introduced the all-in-one live OTT solution, Vidigo News – how has the response been? BU: The response to Vidigo News has been very positive. Actually so positive that we had orders BEFORE announcing the product at the show. And, we’re continuing to see some good traction now. We continue to hear about how live OTT production needs to fit right in to an NRCS – that’s the sweet spot for Vidigo News. BU: First off, let me start by saying that CAMIO alone already streamlines a lot of the news production workflow by giving news producers better storytelling capabilities straight from their Newsroom Computer System. Connecting Vidigo News to CAMIO strengthens producers’ flexibility when it comes to producing the entire newscast. With Vidigo News all a producer does to add live OTT is recall camera shots, effects, and graphics templates and put them in a run-down. This means they easily produce a show that would normally require a Technical Director and other people in the control room. Ultimately, the entire newscast is produced directly from the newsroom by the producers themselves – that speaks strongly about production efficiencies! Since control of Vidigo News is remote, how could this be implemented at a station group? BU: Very good question. This is another illustration of how new technologies can enable new paradigms which will ultimately help generate more revenue opportunities in a more streamlined manner. Unlike most traditional switcher solutions, Vidigo News breaks the 1-to-1 relationship that you typically see in broadcast control rooms. This allows, for example, the same Vidigo News to be controlled from multiple locations. In a station group environment, this means better utilization. A single Vidigo News system could be shared by multiple stations within the same group. Investing in Vidigo News helps the ROI spread across multiple stations instead of just one. There are other scenarios that may benefit from that control flexibility, for example, disaster recovery. Remote monitoring capabilities are not compromised as Vidigo News features a built-in multiviewer solution that allows any source and any stream within the system to be viewed from anywhere. BU: Having everything integrated in one product results in a substantial cost savings. Of course, the CAPEX investment is lower, but the space reduction and lower power consumption are positives, too. 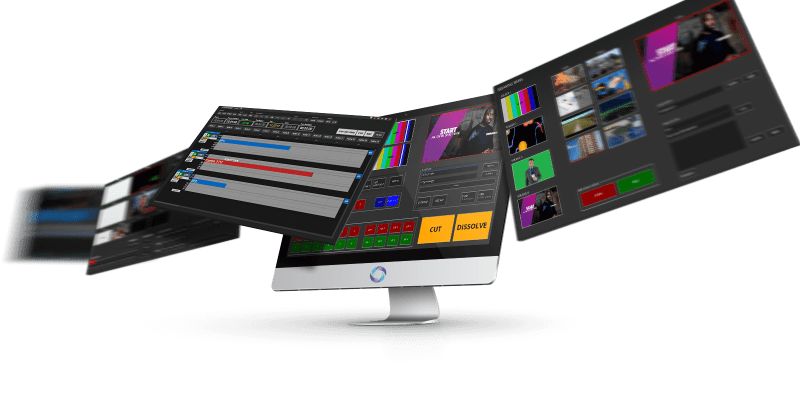 The fact that Vidigo News integrates ChyronHego’s world-acclaimed graphics technologies also creates more efficiencies because creative people won’t have to be retrained for the additional OTT streams. Broadcasters will see a much faster learning curve, increased graphics throughput, and ultimately a lower total cost of ownership. How can broadcasters increase revenue while expanding their live OTT production? BU: Like with traditional television, there are not millions of ways to increase revenue. The key to the success of live OTT is to expand viewership. 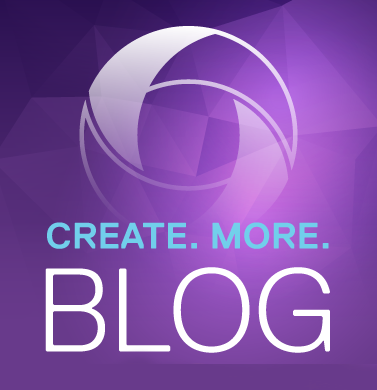 This can be done either by creating compelling content or employing better channel branding. By streamlining the newscast production workflow for OTT and by putting all the creative firepower in the hands of news producers, Vidigo News ensures broadcasters produce the best-ever OTT newscasts. By using ChyronHego’s high quality and graphics tools in Vidigo News, broadcasters deliver the best graphics their viewers have ever seen on OTT. Ultimately, this brings the OTT newscasts to the same quality level their viewers are used seeing on traditional television. It’s our promise to provide a low TCO solution like Vidigo News that allows broadcasters to start growing their OTT footprint, in a scalable and profitable manner. Optimized for live OTT streaming, Vidigo News incorporates a complete newsroom workflow into a single workspace – integrating Lyric graphics with switching and audio mixing – all easy-to-use via remote control or a single-user GUI. For more information about Vidigo News, email me anytime at sales@ChyronHego.com!